Captured on AR152 with Quark (Chromo). Used ASI120 for this with FireCapture. Stacked about 100 frames to keep as much detail in what can be fast moving structures. Usual processing software of AS!3, ImPPG and PS. 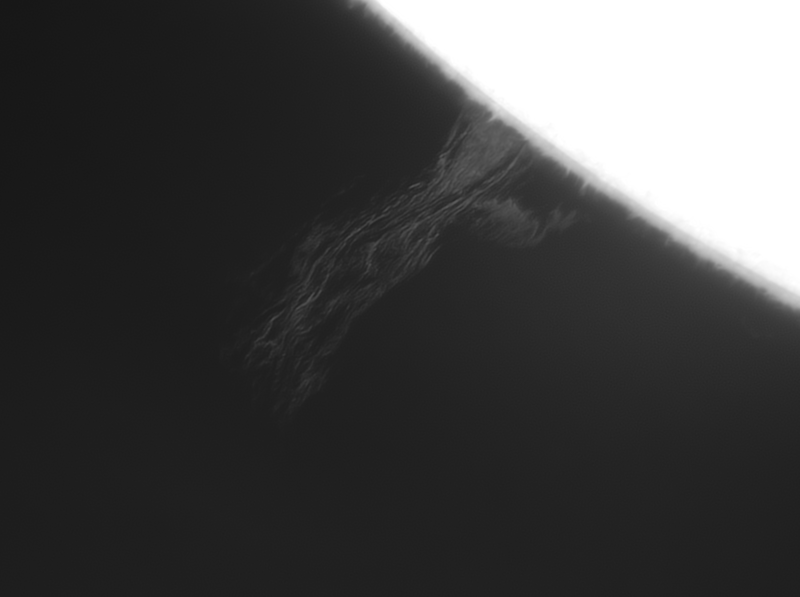 This prom was very faint so processing had to be pushed a touch more than I usually like. 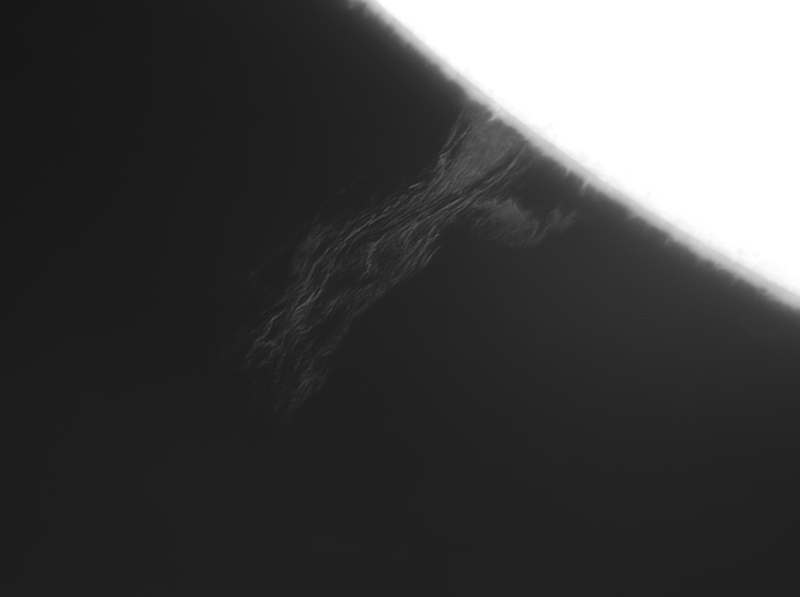 Happy with the detail though in the prom and also to a lesser degree on the spicules.